Our hearts go out to the families and pets in the southeast who have been impacted by Hurricane Michael. To aid in the relief, Purina is sending more than 25,000 pounds of pet food and cat litter to local organizations helping with emergency response efforts for pets in the region. In times of need, Purina works with our national disaster relief partner Rescue Bank, a program of GreaterGood.org, to get pet food and litter to shelters and pet owners throughout affected areas. Purina’s donation will further assist with Rescue Bank’s efforts in the southeast, as well as aid two other local organizations, including the Patriot Emergency Response Team in Panama City, FL and FloridaDisaster.org Division of Emergency Management in Jackson County, FL. 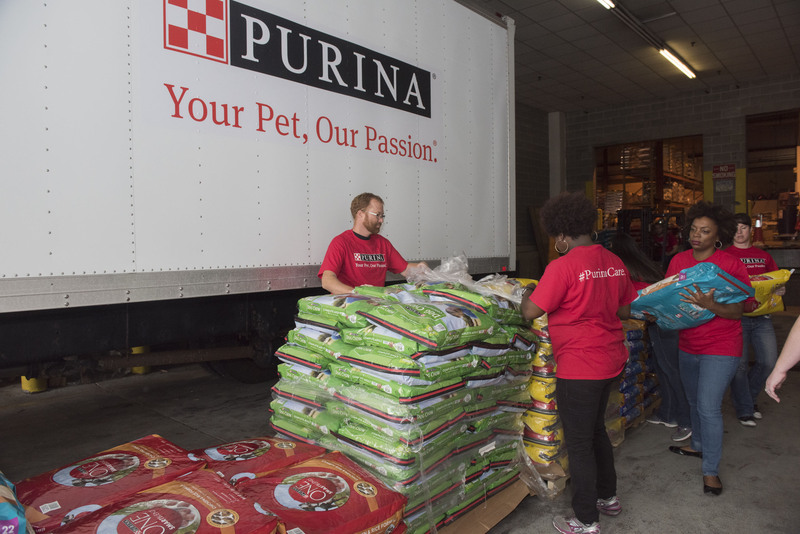 In addition, a number of Purina Shelter Champions partners across the United States are assisting shelters in the southeast by transporting and taking in hundreds of animals to make room for displaced pets from the hurricane. Purina continues to support these shelter partners through providing pet food and litter for their animals, as they wait to find their new forever homes. In times of natural disaster, Purina’s goal is to provide timely support to pets and people in need. Thus far in 2018, Purina has donated $50,000 and more than 50,000 pounds of pet food and litter to support to victims of natural disasters across the United States.